Kito Onlus mainly focuses on emergency contexts, but we strive for long lasting development and resilience. Thus, we think that it is essential to invest resources also in the reconstruction process. This is what Kito Onlus is doing in the village of San Francisco, Camotes Islands, where we are committed to rebuild the L. Tanza Memorial School, which was heavily damaged by typhoon Haiyan, locally known as Yolanda. Our school restoration interventions aim to raise the number of enrolled children and to offer them high quality classrooms. 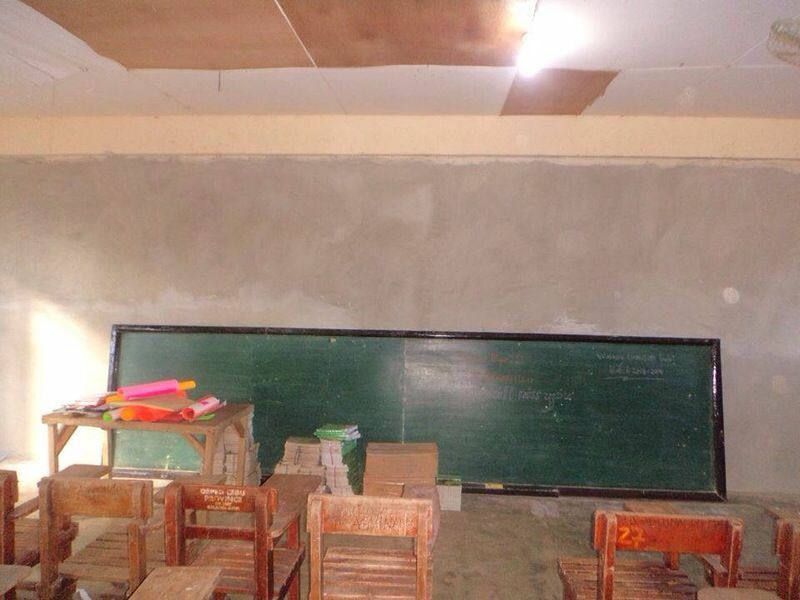 We have just received the pictures of a classroom that has been repaired with the money you donated to Kito Onlus. The work is still ongoing, but we are on the right path to ensure that many children will have the opportunity to attend class in a safe environment and not in unstable tents. We strongly believe that the restart of normal school activities is an essential step to allow shocked children to overcome trauma and ensure them a better future. Thanks to all the people who contributed to our project and to those who will continue to support our work!